If you think you know everything about Futurama, then think again. 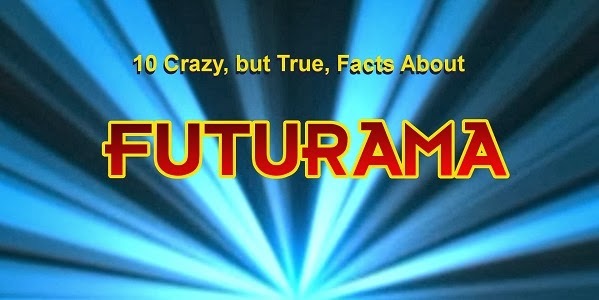 My brother already posted 10 things you didn't know about Futurama. But, if that wasn't enough, I made this video of 10 more amazing facts about one of IGNs "Top 100 Animated TV Series." Did you learn anything about Futurama? Funny the inventor of television didn't watch because there was nothing worthwhile on. I wonder what he would say about today's programming? Shut up and take my comment! Chloe Grace Moretz is 17 in a couple of weeks, imagine buggering the little darlin` senseless on that day, you`d feel as though you`d won the lottery ! ! !. Abigail Breslin is 18 in a couple of months, imagine buggering the little darlin` senseless on that day, you`d feel as though you`d won the lottery ! ! !. He'd say 57 channels and nothing on. I think I knew one of those things... I love the show though. I wish there were another few hundred episodes on they way. Groening says he's still looking for another network, so who knows? They grow so fast Mary.